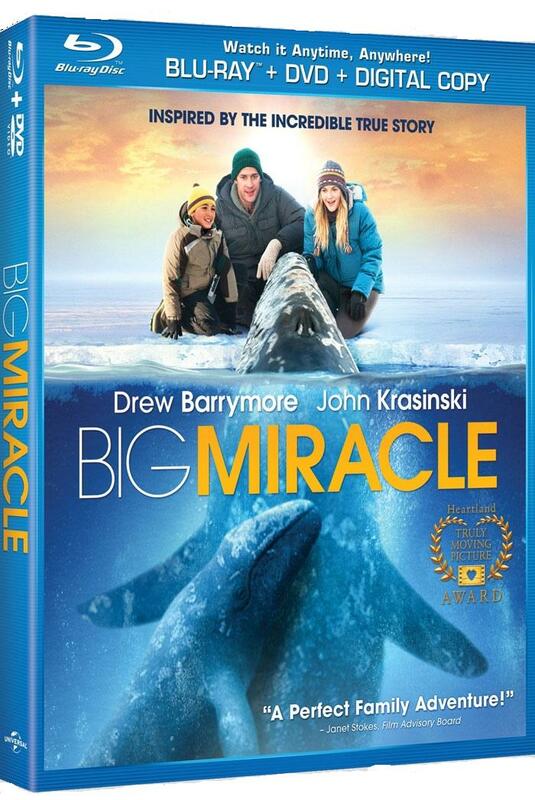 Inspired by a remarkable moment in history when the world came together for one common cause, Big Miracle tells the amazing tale of the true events that transpired when a family of whales became trapped beneath the deadly Arctic Circle ice. Directed by Ken Kwapis (He’s Just Not That Into You, The Sisterhood of the Traveling Pants) and starring Golden Globe® winner Drew Barrymore (50 First Dates, He’s Just Not That Into You) and John Krasinski (“The Office,” It’s Complicated), Big Miracle is available on Blu-ray™ Combo Pack, DVD, and On Demand on June 19, 2012 from Universal Studios Home Entertainment. 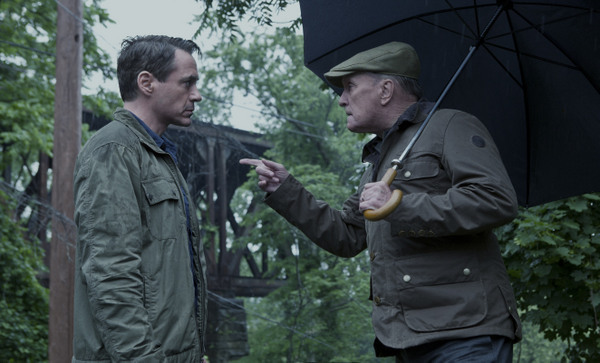 • TRUTH IS STRANGER THAN FICTION: A look at the true stories that inspired the film – including interviews from the cast and crew, along with those who were there and experienced the rescue as it unfolded. BLU-RAY EXCLUSIVE BONUS FEATURES: Unleash the power of your HDTV with perfect hi-def picture and perfect hi-def sound. • A “BIG MIRACLE” IN ALASKA: Join the stellar cast in a behind-the-scenes featurette where they take viewers on a journey through everything from set design to the challenges and joys of shooting in Alaska. o BROWSE TITLES: Users will have access to a complete list of pocket BLU™-enabled titles available and coming to Bluray ™ Hi-Def. They can view free previews and see what additional content is available to unlock on their device. Here is the new trailer from Universal Pictures upcoming film BIG MIRACLE, opening in theaters February 2, 2012. The film is directed by Ken Kwapis starring John Krasinski, Drew Barrymore, Kristen Bell, Tim Blake Nelson, Kathy Baker, Ted Danson, Vinessa Shaw, Stephen Root. Erin’s (Drew Barrymore) wry wit and unfiltered frankness charm newly single Garrett (Justin Long) over beer, bar trivia and breakfast the next morning. Their chemistry sparks a full-fledged summer fling, but neither expects it to last once Erin heads home to San Francisco and Garrett stays behind for his job in New York City. But when six weeks of romping through the city inadvertently become meaningful, neither is sure they want it to end. 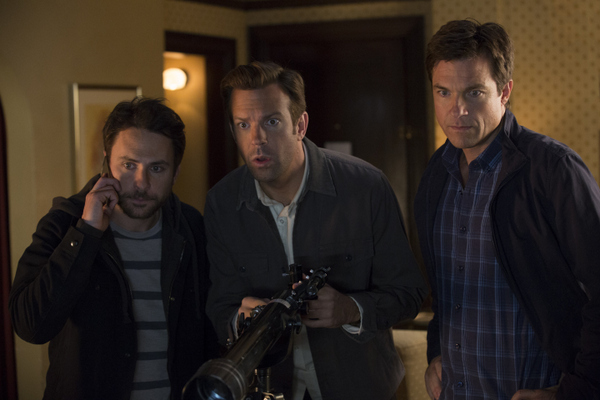 And while Garrett’s friends, Box (Jason Sudeikis) and Dan (Charlie Day), joke about his pre-flight calorie cutting and his full-time relationship with his cell phone, they don’t like losing their best drinking buddy to yet another rocky romance. At the same time, Erin’s high-strung, overprotective married sister, Corrine (Christina Applegate), wants to keep Erin from heading down an all-too-familiar road. But despite the opposite coasts, the nay-saying friends and family, and a few unexpected temptations, the couple just might have found something like love, and with the help of a lot of texting, sexting and late-night phone calls, they might actually go the distance.